My all-time favourite cake! It’s best eaten warm in any weather. 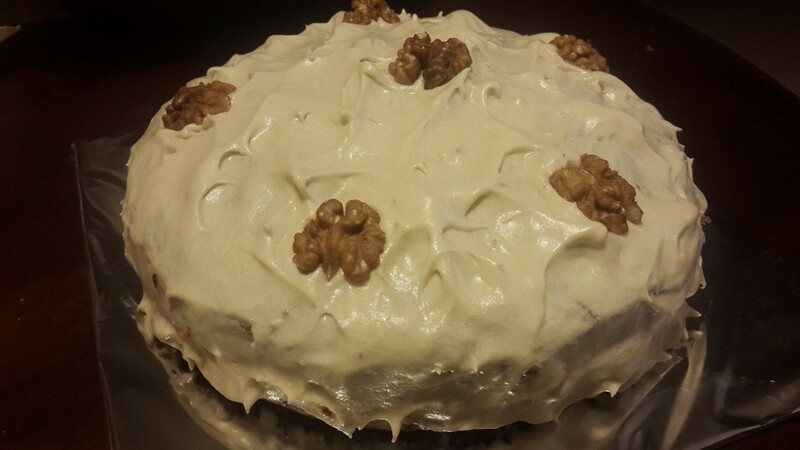 It’s rich, moist, full or flavour, and is the prettiest cake I’ve ever seen! The Fact: During World War II, due to food scarcity (except that of carrots and potatoes), the Government resorted to an oversupply of carrots and suggested, through propaganda, that the Royal Air Force’s exceptional night-flying success was due to eating high carotene-content carrots. The ruse sharply increased carrot consumption and took the pressure off other food supplies. The Inspiration: Our family has always been very enthusiastic about baking cakes for birthdays rather than ordering ready-made ones from the famous Baker’s Basket or Copper Chocs. It all began with mum, who, since we were born, baked us our favourite pink or green cakes (the green, creepy in hindsight) without a whisk or cake beater. I still remember my brother, sister, and I gathered around her in our kitchen as she mixed the cake batter with her bare hands and transformed a then, boring whitish batter into a fascinating pink or green. And ever since, the tradition has continued, though now, with slightly upgraded equipment and with the responsibility having shifted from mum to me. 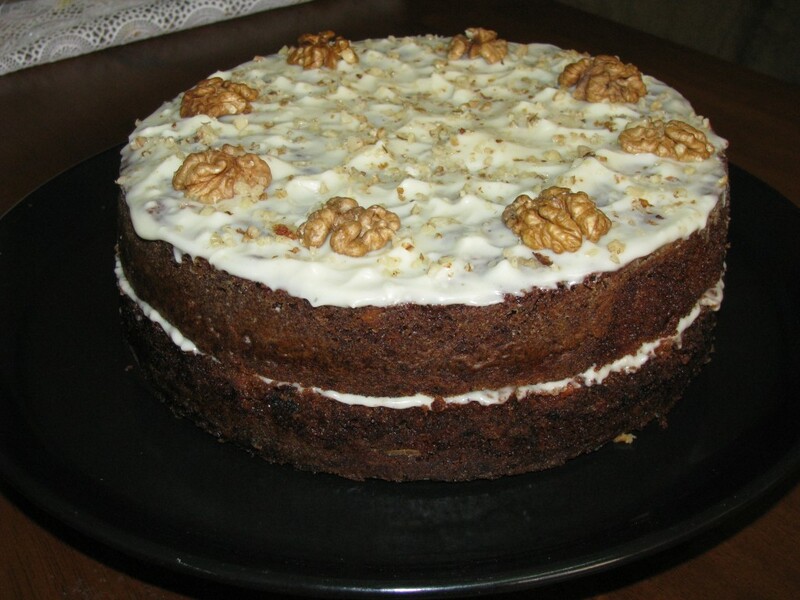 As I sat thinking about what cake to bake for my 24th birthday, rather bored by the myriad chocolate versions, and certainly considering healthier options, I stumbled across the Carrot Cake recipe on one of my favourite baking websites, Joy of Baking. 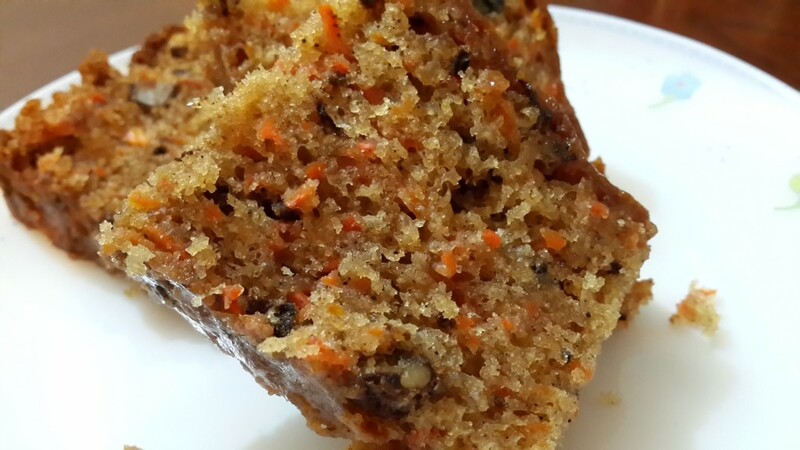 And ever since, this comforting, moist, pretty (the orange flecks are simply adorable), spice cake has been my all time favourite and will never go out of fashion in my home! This cake serves approx. 15–20 people. 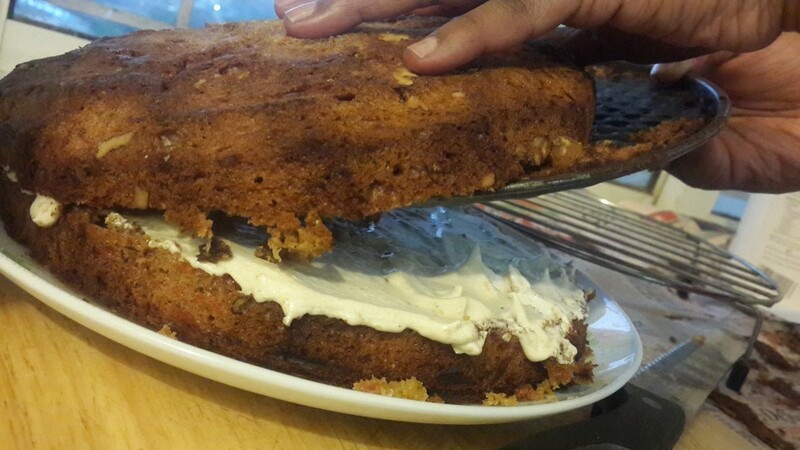 Prepare your cake tin (standard 9 x 2 inch) by spraying it with grease or lightly greasing it with butter. 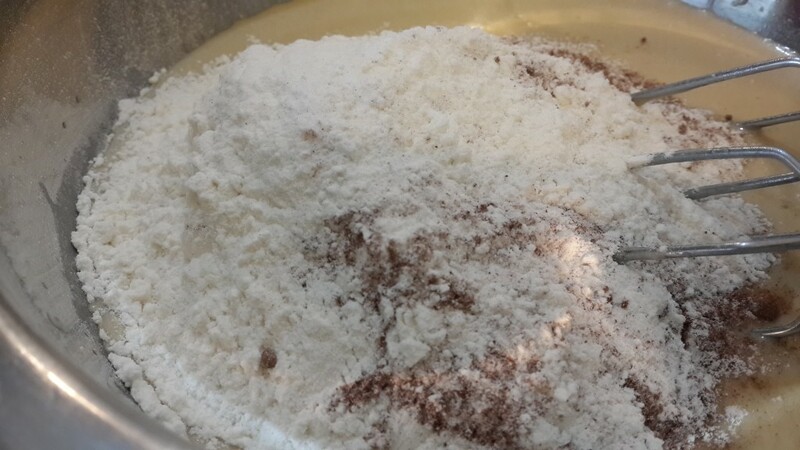 Whisk together the flour, baking soda, baking powder, salt and cinnamon powder. 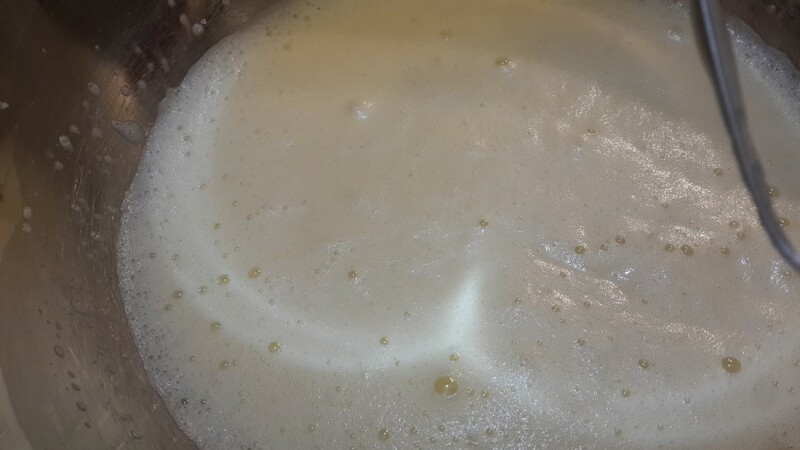 In a separate bowl whisk the eggs for about a minute until frothy. 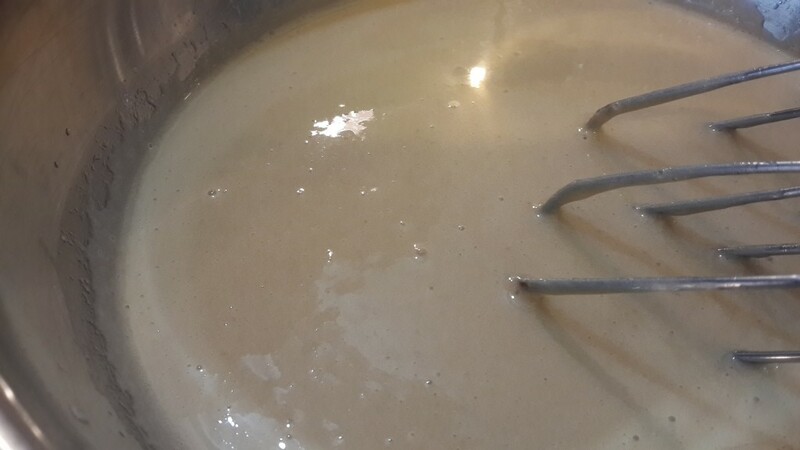 Add the sugar to the eggs and whisk until the mixture is slightly stiff and almost whitish (and has lost most of the yellow tinge). Note that the sugar should have more or less dissolved by now. Gently pour in the oil in a steady stream and beat until incorporated (do not over beat the mixture; it might incorporate too much air). 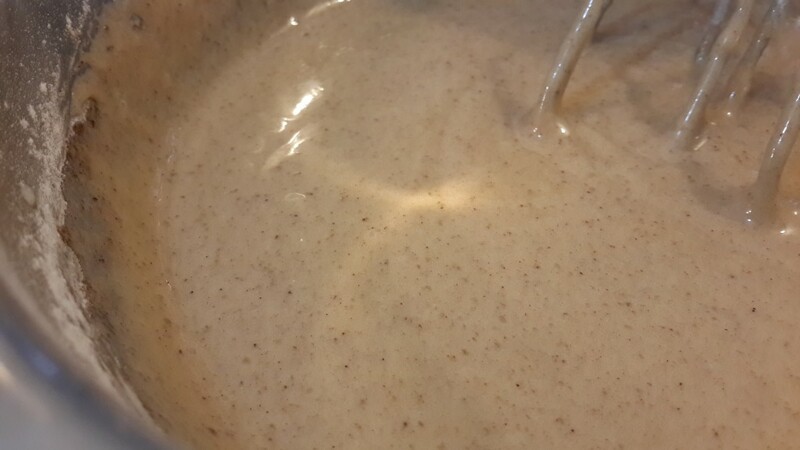 Add the vanilla extract and whisk in. 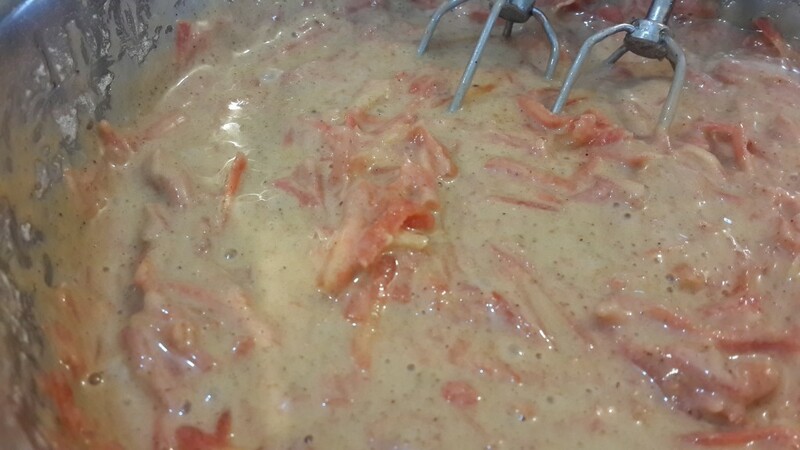 Now, whisk in the flour mixture, just until incorporated (again, do not over beat). 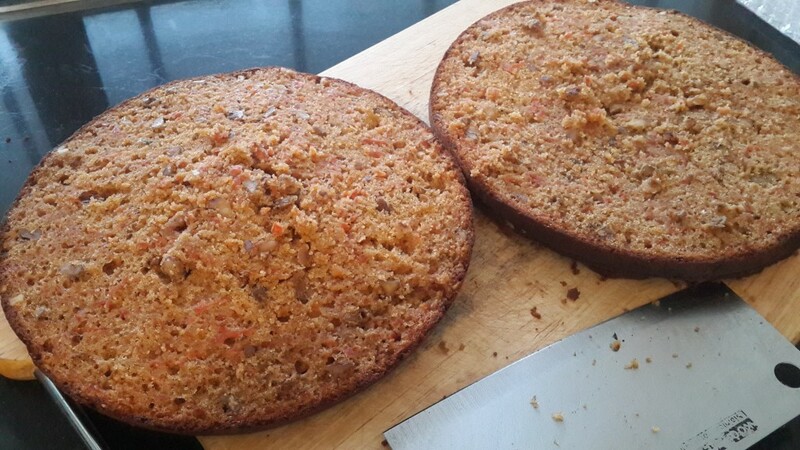 Gently, fold in the grated carrots and the walnuts (fold in by making an ‘8’ motion with your spatula; do not beat this in). 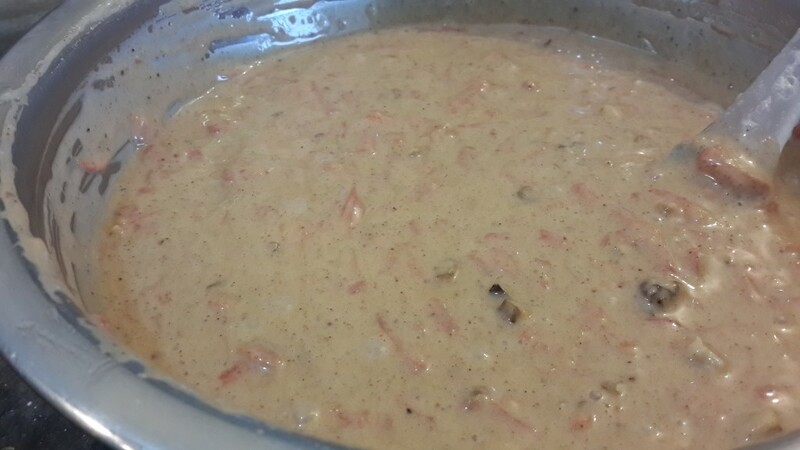 Pour mixture into the prepared cake tin(s) and put it into the oven. You’re done 🙂 This cake is best served warm. Cut a slice to look at your beautiful, orange-speckled cake! Bon appetit! 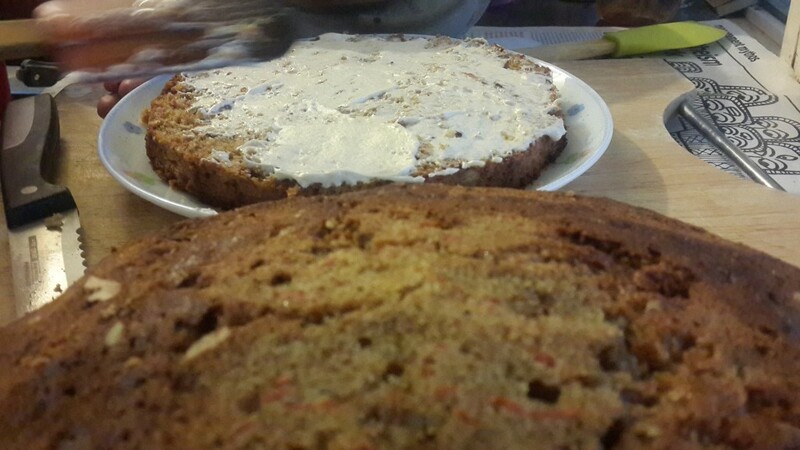 This cake can be kept for a few days without refrigeration. In warmer climates, refrigerate within 2 – 3 days. If you’d like to frost this cake since it does make pretty pictures, try my cream cheese frosting recipe. You can layer the cake and cover the layered stack for prettier presentation. Marsha my dear! The proof of the pudding is in the eating! i’ve done that and I know the cake is simply delicious! Only I love it best without any icing! 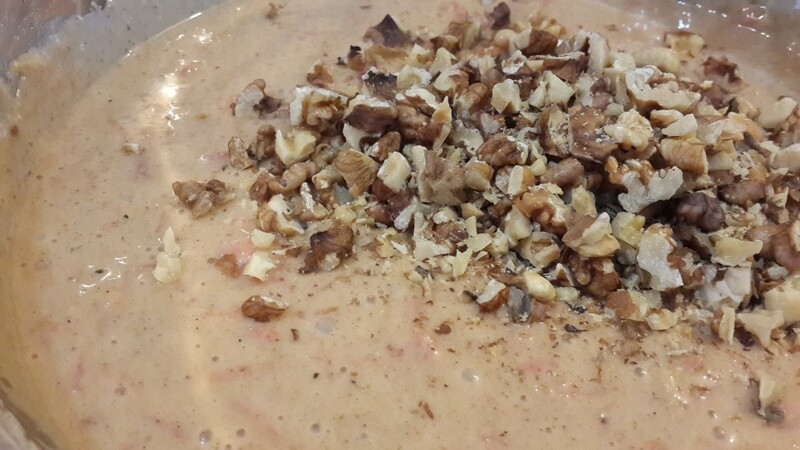 i love it with a scoop of vanilla ice-cream!